William J. Bratton, who last week abruptly announced he would retire as head of the Los Angeles Police Department, has a book deal. Bratton, highly praised for helping reduce crime and ease tension between police and the public, is co-authoring with Zachary Tumin a work about the importance of people and organizations working well with others, Bratton said in an interview Wednesday with The Associated Press. "After 9/11, that's one of the things that became quite clear," said Bratton, whose book will be released in 2011 by Broadway Business, an imprint of Random House Inc. "Police, in a much more extensive way, needed to work collaboratively with other government agencies, which themselves would have to work together much more closely." Financial terms for the book _ tentatively titled "Collaborate Or Perish!" _ were not disclosed. Bratton declined to discuss details, but said that he and Tumin had reached "what I think was a very good deal. I'm not complaining." Bratton, 61, will step down as chief in October and has said he will join Altegrity Inc., a global security firm based in Falls Church, Va. He cited money and the chance to work with a friend, Michael Cherkasky, who heads the company, among his reasons for making the switch. 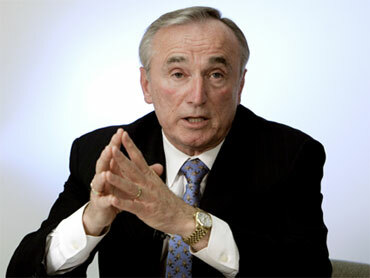 Bratton also is the author of a 1998 memoir, "Turnaround," for which he reportedly received $350,000. He reached that deal with Random House while he was New York City's police commissioner and _ at the request of then-Mayor Rudolph Giuliani, with whom he occasionally feuded _ the object of a review by city legal officials. (Bratton resigned in 1996, before the review was completed). Bratton, who also headed Boston's police force, was picked in 2002 to lead the LAPD. He will leave Los Angeles two years into his second and final five-year term. The outgoing chief said Tumin, a longtime associate, proposed the idea for the new book months ago, and we would have worked on it even if he had remained with the LAPD. Bratton said he will contribute "stories, concepts and ideas," while Tumin does much of the writing. Tumin is associate director for programs in Technology, Networks and Governance at Harvard University's John F. Kennedy School of Government and former executive director of New York City's Division of School Safety. In 1994, he was reprimanded (and docked three days of vacation) for failing to seek competitive bids for contracts that went to two consulting companies, one of which employed Bratton, and with which Tumin had ties.